Wilcock mentioned a few interesting facts about the origins of the Law of One, and how strong the possibility that these channelings are authentic. As he has said in previous episodes, it seems to have been channeled knowledge from a higher source. This source called itself "Ra", and had many similarities and correlations from the ancient myths of history. This source spoke on matters about which Carla Rucker (the woman channeling in trance) had no knowledge of. Carla was basically sleep-talking, but as she spoke, she mentioned numerous scientifically validated facts, many of which had not yet been discovered or disclosed at the time. David Wilcock actually lived with Carla and her husband for some time, and was able to speak with her first hand on the matter. Since then, he has spent much of his life from then on trying to decipher the knowledge given during those sessions. One interesting point to note (and David mentioned this as well) was with regard to the matter of priesthood. These Ra beings didn't refer to priesthood as that which involved celibacy, poverty, or much of anything we may commonly relate to priesthood. Instead, they simply used the term to refer to those who were devoted to learning. This means that by this definition, each person reading this and devoting their energy to learning all they can are in essence, priests. So keep it up. You're doing great. Upon discerning this higher knowledge, those studying such insight will then receive more clear contact and understanding from higher sources, after which point, they may be visited by higher beings in physical form. The lesson these beings bring is ultimately, that among all of the endless diversity, differences, and variations of life, people and experiences we have, that there is only One of Us here. When we learn this fully, we become the universe, the cosmos, and awareness itself (or realize that we already are these). This is a path that each of us is on, traveling at our own pace in our own way, and yet learning/remembering the same lesson. David went on. The knowledge of crystals was passed to the Atlanteans by the Ra group, who also gave this knowledge to other ancient civilizations. The pyramids were a form of crystal, and were designed to captured the source field energy (or torsion energy) and create healing effects. This could be used for healing, for focusing of one's own energy, and ultimately for faster ascension. Here is what the text says on the subject of the pyramid technology. “2.3 Questioner: We are very interested in the entire story that you have to tell and in getting into the Law of One in quite some detail. There will be several questions that I’ll ask as we go along that may or may not be related directly to understanding the Law of One. However, I believe that the proper way of presenting this as a teach/learning vehicle to the population of the planet that will read it at this time is to investigate different facets of what you tell us. You spoke of crystal healing. (One other thing I might mention is that when the instrument becomes fatigued we want to cut off communication and resume it at a later time after the instrument is recharged.) And if the instrument is suitable at this time I would like a little discussion of the crystal healing that you mentioned. We see this pyramid technology worked quite well for the Atlanteans. However, it would later pose a problem for this civilization, as some of the priesthood would later choose to follow the negative path. This happened as the priests started to form a hierarchy which would ultimately turn into government. They started restricting use of the pyramids, and instead of allowing free and open access, made the people go through an initiation process. This is what would eventually form the hierarchy, and the consequent negative offshoot. This is most likely the true origin of the Illuminati (hence, the use of the pyramid in their insignia and propaganda). The pyramids of Egypt and those of South America would eventually be used for negative ends in this same way. This goes to show the principle that whenever higher knowledge or power is passed down, there is always a choice as to how to use it. Some choose the higher path of positive focus and service to others, while others choose the path of negative, unbalanced self service. This can be seen in multiple instances, and in this case, was brought about by the gifting of pyramid technology. There are always those who take the opportunity to learn as an opportunity to take control and to seize power, and according to the Law of Free Will, this is perfectly allowed. This is why the Draco were allowed the opportunity to influence the situation. The dark needed a more powerful source to guide them along their own path of darkness. This passage illustrates how the priests of two other civilizations perverted the higher teachings and turned to the negative path. So we can see that according to the Law of One, some of these priests chose this negative path, after which point, the Ra beings could no longer get through to them. This started in Atlantis and became the trend in other cultures as well. So ultimately, the Illuminati today is running on perverted Atlantean teachings and misused technology. Consequently, the Ra group felt responsible for catalyzing the difficult situation in which we find ourselves today. The Law of One channelings are essentially an apology for this infraction. This perversion of sacred teachings was the beginning of the societal problems we have today from such people, believing a version of the original truth, but to the point where those teachings are so perverted, they do very little good for anyone, if any at all. David goes on to describe the writings of Plato. One particular writing revealed quite an interesting addition to the details of the Law of One text. In 360 B.C.E, Plato wrote a piece called “Timeaus” in which he tells the story of the experiences of a man named Solon as he spoke with the Egyptian priests. These priests told Solon about the ancient myths of the world that brought their people to the then-present times. “Thereupon one of the priests, who was of a very great age, said: O Solon, Solon, you Hellenes are never anything but children, and there is not an old man among you. Solon in return asked him what he meant. I mean to say, he replied, that in mind you are all young; there is no old opinion handed down among you by ancient tradition, nor any science which is hoary with age. These destructions are termed in multiple ways through the ages. They are called inundations and deluges to describe destruction by water. There were also instances of destructive events called “conflagrations” which refers to destruction by fire (or something similar thereto). The Timeaus writings continue. “There is a story, which even you have preserved, that once upon a time Paethon, the son of Helios, having yoked the steeds in his father's chariot, because he was not able to drive them in the path of his father, burnt up all that was upon the earth, and was himself destroyed by a thunderbolt. Now this has the form of a myth, but really signifies a declination of the bodies moving in the heavens around the earth, and a great conflagration of things upon the earth, which recurs after long intervals; at such times those who live upon the mountains and in dry and lofty places are more liable to destruction than those who dwell by rivers or on the seashore. At this point, Wilcock makes the point that the ancient religion of Zoroastrianism referred to this same destructive occurrence, describing fire from the heavens raining down like molten metal. The following passage comes from the site, “The History of Zoroastrianism”, and may have been the passage Wilcock was referring to. The description of molten metal may fit very well will the coronal mass ejection concept, as this may have been the most familiar reference to solar dynamics the average person of that time period may have understood. So we have the Egyptian mythology as well as Zoroastrianism concurring on this same subject of a conflagrative event. (However, as long as a person is on the positive path, there is little to worry about.) David continues with the Timeaus passage with an important point. This passage reveals the likelihood of such repeated destructive events would leave the remaining people of the Earth ignorant of the higher knowledge which passed to those more astute then they (as the more positive and astute would likely be "harvested" prior to such destruction). One major point this passage makes is the fact of consistent, predictable intervals of such a conflagration. The Law of One text also mentions this consistent interval. “6.15 Questioner: What is the length, in our years, of one of these cycles currently? In previous articles, we discussed how the Ra group plaid the role of overseeing the transport of civilizations to their most appropriate destinations on a soul level. David mentions how Corey has stated in previous episodes how the Inner Earthers also plaid a similar role, in that they sheltered those on the surface who were seen to be virtuous, from the predictable destruction which took place at these intervals. I find this very interesting because one specific channel (who most people seem to have written off) has been saying this same thing for at least a decade. This is, of course, Sheldan Nidle. Next week's episode is slated to cover in greater detail, the subject of this end-of-the-age phenomenon referenced numerous time within the Law of One. Personally speaking, it's understandable to see why Wilcock has remained true to this story line. Since I started reading and watching his material, he seems to do the most extensive research and multi-directional, historical correlation as anyone I've seen. I haven't yet seen anyone else out there who so diligently seeks such multifaceted understanding and insight then he. Not only this, but the combination of both the creative and logical aspects of the pursuit of greater knowledge within his research is extremely rare, as specially in recent years. Anyone is welcome to whatever opinion they choose, but with regard to objective, scientifically verifiable information, Wilcock's material seems to be among the most sound, in my opinion. I look forward to more, but I look even more forward to actually experiencing this process of change, as well as sharing it with my readers. 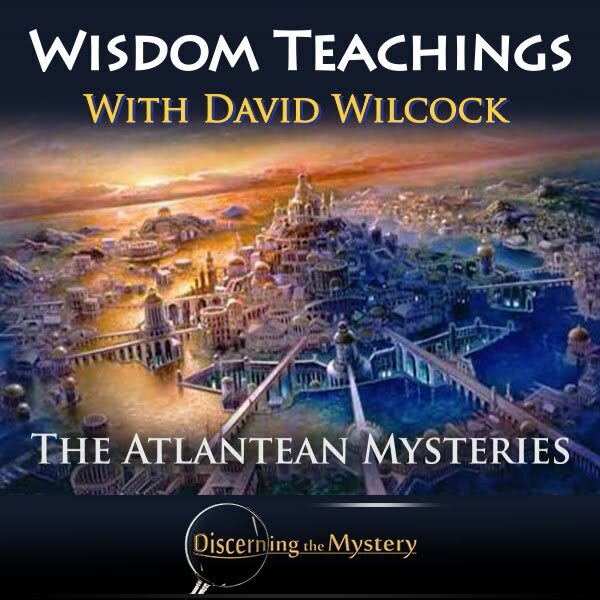 To reserve your copy of David Wilcock's new book, “The Ascension Mysteries”, click here. Click here to watch “Wisdom Teachings: The Atlantean Mysteries”. Thank you for your work. I'd like to know where we are, in what year of the third cycle, the last 25,000-year cycle of this journey. The precession of the equinox - 2012 - marked the beginning of the end of the 3rd cycle, s the planet has now tilted back toward the light.